When travelling around Hakone, there are many forms of public transport that provide coupons that give you a discount upon using their tickets. Plan your itinerary and choose the tickets that fit into your travel plan. We recommend the Hakone Freepass! 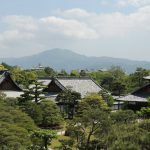 Furthermore, it comes with a round-trip ticket from your nearest station to Odawara station on the Odawara Line, as well as discount coupons for over 50 tourist attractions in Hakone such as hot springs. Effective for 2 or 3 days. The price will differ according to your nearest station, so do check with the station staff. Effective at all stations in between Odawara station and Gora station on all Hakone Tozan lines, as well as for use on the Hakone Tozan Cable Car in between Gora station and Sounzan station.